ThingM designs and manufactures high quality, extremely usable digital devices using cutting-edge techniques and approaches. We start with what people need, and then work backwards until we create technical solutions that are robust, easily understood, and a pleasure to own and use. We bring traditional craftsmanship to the world of modern technology. blink(1) is a super status light: it packs three dimensions of information (color, brightness and pattern) into a single tiny package that fits into any USB port on nearly every device. It makes it incredibly easy to connect any data source in the cloud or on your computer to a full-color RGB LED so you can know what’s happening without checking any windows, going to any websites or typing any commands. blink(1) is Open Source Hardware Association (OSHWA) certified. Learn more about blink(1) at: blink.thingm.com. Or buy blink(1) now at: buy.thingm.com. Our BlinkM smart LED products make prototyping, experimenting, and hacking with light easier than ever. BlinkMs can glow almost any color and can blink and fade in virtually any pattern. Pick a color, fade between two colors, or make a crazy blinking sequence with our open source software, then just drop it into your project and go! 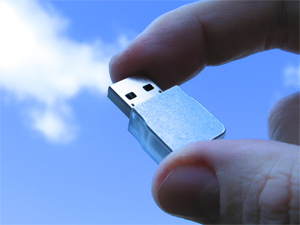 Once programmed, BlinkMs can be detached from its programming interface and work standalone. They require no knowledge of programming or electronics. We offer three BlinkM models (BlinkM, MinM, MaxM), the LinkM USB programmer/controller, the IR connector duo of FreeM & CtrlM, and the WireM connector kit. 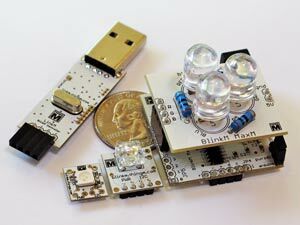 BlinkMs are ultra-bright wide angle smart LEDs. It can put a bright spot of any color in just about any project. BlinkM MaxMs are smart LEDs that are more than 1000 times as bright as a standard LED. They put bright spots of color anywhere, and can control long chains of LEDs, such as found in LED strips or rope. BlinkM MinMs are tiny smart LEDs suitable for experimenting with wearable technology or for tight spots where you need just the right kind of light. LinkM is our USB programmer for BlinkMs; plug it in, and immediately start working with light–no special drivers required. CtrlM & FreeM are infrared links that extend the reach of BlinkM, MinM and MaxM up to 45 feet, one CtrlM can control dozens of FreeMs simultaneously! WireM is a connector kit for the BlinkM family of Smart LED products that makes creating multi-BlinkM installations fast and easy.